Strong synergistic effect in complex and adjuvant therapy and faster recovery time. 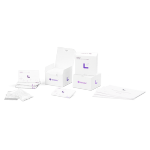 HMP SCHALI® Hydrocolloid Mineral Plaster is intended to recover human serotonin – one of the most abundant human neurotransmitters – which controls such integrated functions as behaviour, sleep, memory, dietary habits, and mood. 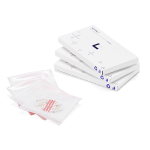 Besides, HMP SCHALI® is a sterile medical product and may be used in open wounds and scratches. New options of non-medicamentous and non-invasive recovery of human serotonin balance and cellular energy exchange. In contact to naturally warm human skin (36.6°C), НМР SCHALI® - which core contains QD SCHALI® titanium (TiO2) hereto-crystals of a distinct class - triggers a catalytic reaction, resulting in emission of energy and energy transfer back to human body. The energy is transferred by neurons and transformed into action potential, which promotes function of serotonin receptors and therefore helps in restoring human serotonin balance. QD SCHALI® hereto-crystals are made of natural environment-friendly minerals and do not penetrate into the skin. QD SCHALI® hereto-crystals are made of in a special technologic process destructured titanium dioxide (TiO2) mineral ore, active particles of which are capable of generating reactive oxygen species, while exposed to light and heat under certain conditions. 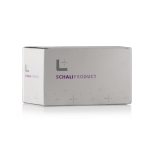 HMP SCHALI® is a medical product targetly promoting serotonin balance and improving function of main human organs and systems. The product is intended to stimulate energy acupuncture points within human body. Re-balanced serotonin level contributes to better metabolic processes in tissues, positively influencing cardio-vascular system function, general blood flow and brain functional conditions. Stabilizing heart rhythm and preventing arrhythmia conditions. Re-balanced serotonin level contributes to better vascular system function and general blood flow, helps in maintaining cerebral oxygenation and brain functional condition. Preventing arrhythmia and heart rhythm disorders conditions. Well-balanced serotonin level helps in preventing human functional disorders, caused by intensive electromagnetic impact. Generated electromagnetic radiation of different powers is a negative biotech factor which may affect human adaptive system and CNS physiological limitations dramatically. Reducing harmful electromagnetic impact to immune, reproductive, endocrine and central nervous systems. Normalized function of human serotonin receptors targetly improves cerebral blood flow and metabolic processes in brain tissues, resulting in better cerebral oxygenation and function. Relieving tension-type headache and pain syndrome. Normalized function of serotonin receptors contributes to better metabolic processes in tissues and improves cerebral blood circulation resulting in better brain oxygenation and functional condition. Well-balanced serotonin level helps to accelerate restoration of homeostasis in cancer conditions. Rebalanced serotonin level contributes to better blood and oxygen supply to tissues, effectively relieving hyper-tone, congestion and inflammation conditions, significantly improving both regular anticancer therapy and postsurgical rehabilitation. Supporting therapeutic effect and significantly improving tolerability of systemic chemo- and radiation therapy treatments, and also accelerating postsurgical rehabilitation period. Nausea and vomit may be caused by different pathological conditions, brain metastasis, metabolic disorders, stomach ulcer, NSAID, opiates, anticoagulants, and anticholinergics etc., which affect serotonin release dramatically. Improving emotional state and, therefore, contributing to better quality of life in cancer patients during courses of chemo- and radiation therapy. Spinal cord neurons induced by well-balanced serotonin become capable of cosecreting enkephalin resulting in triggering presynaptic inhibition in A – and C-type afferent nerve fibres, which control pain sensation. Restored serotonin mediation helps in “cleansing” serotonin receptors from ligands, which results in faster regeneration of receptor function, normalizing biochemical processes in smooth muscular cells, enhancing oxygen and blood supply to muscles. Preventing overstrain and promoting psychoemotional state and staying power in case of intensive workouts and physical exercises. Normalized serotonin level is a regulating key-factor in bone mass control and is crucial in fracture and other locomotor disability treatments, also contributing to better microcirculation and enhancing metabolic processes in athletes’ muscular cells. Enhancing stamina reserves in case of intensive workouts and physical exercises. Remedying serotonin imbalance contributes to better vasomotor system function, reducing hypoxia and improving reparative processes in muscles, particularly in case of intensive trainings. Well-balanced serotonin level helps in preventing and curing common ballet injuries and disorders. Accelerating regenerative processes in bone tissues, and damping degeneration in bone and cartilage tissues. Normalized function of serotonin receptors helps to improve human serotonin level, resulting in better emotional state. Better staying power in case of mental, physical and athletic workload. Remedying serotonin imbalance results in better sleep processes regulation, which improves body’s capability to restore energy reserves over night and to withstand harmful everyday stress. Improving emotional condition and preventing insomnia. Well-balanced serotonin level helps in restoring homeostasis, relieving fibromyalgia manifestations caused by CNS imbalance. Enhancing metabolic processes in muscles and toxin removal. 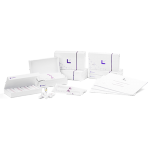 Well-balanced serotonin level is a key-factor in bone mass control and therefore is crucial to therapy and prevention of articular diseases and other musculoskeletal system disorders. Relieving arthritic and osteoarthritic pains, rheumatic aches, and posttraumatic pains. Balanced serotonin level contributes to better biochemical processes in muscular cells and helps in relieving inflammation sites. Serotonin is a key-factor in bone mass control and therefore is crucial to treatment and prevention of articular diseases and other musculoskeletal system disorders. Reducing bursitis and arthralgia manifestations. Restoration of human serotonin balance contributes to better blood supply, which significantly improves both blood and lymph circulation as well as metabolic processes in muscular tissues. Reducing neuralgic pains in spine, belting pains and lumbalgia. Normalized function of serotonin receptors results in better pancreas function, inducing pancreatic β – cells to regenerate tissues and increase glucose sensitivity, which next to complex therapy helps to restore serotoninergic function and supports therapeutic effect in treatment of insulin insufficiency related conditions (type 1 diabetes or insulin dependent diabetes). Improving metabolism, blood supply and regeneration in limbs, preventing complications. Well-balanced serotonin level helps in normalizing age-related changes in vessels, particularly in humans suffering from diabetes (glucose metabolism) disorders, effectively preventing development of hypoxia sites and improving quality of life in diabetes patients. Preventing impaired automatism condition and refraction in smooth muscles. Remedying inflammation reaction – which is controlled by serotonin, acetylcholine and cytokine - is a key-factor in prevention and treatment of pancreatic malfunction conditions. Supporting and improving pancreatic secretory function. Normalization of serotonin receptors function contributes to better regulation of both gastrointestinal motility and digestive function, resulting in lower activity in bile tract and gut, prevention of spasms and relief from abdominal pains. Strengthening therapeutic effect and accelerating treatment time in regular therapy of gastrointestinal disturbances. Well-balanced serotonin level effectively helps in preventing conditions associated to smooth muscles dysfunction in microcirculatory bed. Inducing regenerative processes in hepatic cells. Normal function of serotonin receptors in young females targetly improves general emotional state, and contributes to better integral functions such as behaviour, sleep, memory, and nutrition habits, developing at young age. Relieving inflammation processes and pain syndrome in pelvic organs. Serotonin is a widely known human neurotransmitter which affects symptoms of and hormonally-induced female behaviour, and controls most functions of female urogenital system. Opposing aftereffect of everyday stress and preventing general exhaustion. Restoration of mental serotonin balance helps in supporting most functions of female urogenital system, targetly improving emotional state and other integral functions which may be disturbed with age. Preventing general exhaustion, giddiness and mood swings. Improved mental serotonin metabolism contributes to better function of female urogenital system and easier tolerable periods of emotional and physical symptoms in pre- and postmenstrual syndromes. 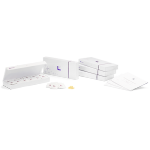 Lowering pain sensation and alleviating premenstrual pains. Well-balanced serotonin level in female body helps in restoring homeostasis, general condition, and reproductive system function. Remedying serotonin imbalance contributes to better vasomotor system function, reducing hypoxia and accelerating regeneration in damaged mammary tissues. Relieving pains and unpleasant sensation in breasts, accelerating treatment period in case of regular complex therapy. Serotonin is a widely known human neurotransmitter which affects symptoms of and hormonally-induced male behaviour. Better mental serotonin balance may improve emotional state, sexual desire and stamina reserves in case of intensive mental and physical workload. Inducing general blood circulation and oxygenation, resulting in better staying power. Remedying serotonin imbalance results in better vasomotor system function, reducing hypoxia, improving regenerative processes and functions in damaged tissues and in smooth muscles of microcirculatory bed, also preventing vascular insufficiency and hypoxemia. Improving general psychoemotional state during intensive therapy and rehabilitation periods. Normal function of serotonin receptors may targetly improve general emotional state in kids and teenagers and promote most integral functions such as behaviour, sleep, memory, and nutrition habits in time of intensive growth. Enhancing stamina reserves and staying power in case of mental, physical and athletic workload. Do you want to learn first about SCHALI® innovative products and technologies? Leave your e-mail and get the latest information.